Picture: Hansard system handover ceremony with Lawrence Bassie, UNDP Programme Coordinator, Speaker of the Bougainville House of Representative Simon Pentanu and Acting Chief Secretary Paul Kebori. The Bougainville Peace Agreement is a joint creation of the Government of Papua New guinea and Bougainville leaders, signed on 30 August 2001 in Arawa. It was heralded then as world class peace document. 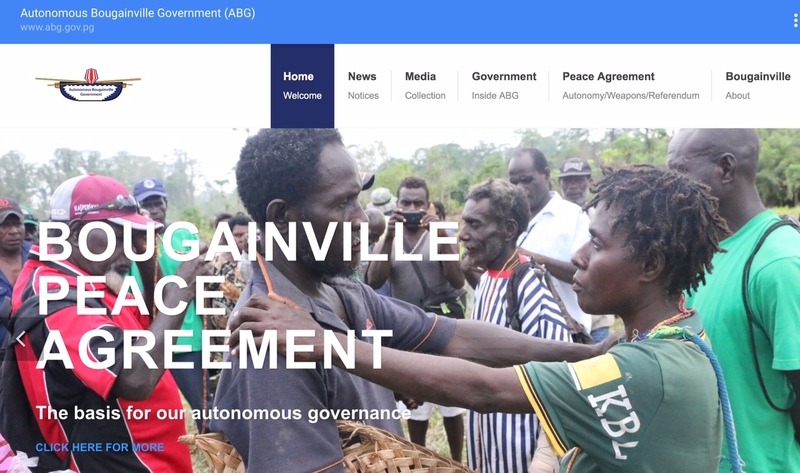 The Agreement provides a road map for all parties, based on three pillars: Autonomy, Weapons Disposal and a Referendum on Bougainville’s political status. The Bougainville Peace Agreement (BPA) is the outcome of more than 20 agreements signed by Bougainville leaders and the National Government leaders on August 30 2001 to find lasting peace and a political settlement for the people of Bougainville. The BPA calls for Bougainville to have its own constitution and further calls for a Bougainville constitution that recognizes the sovereignty of PNG and the PNG Constitution. 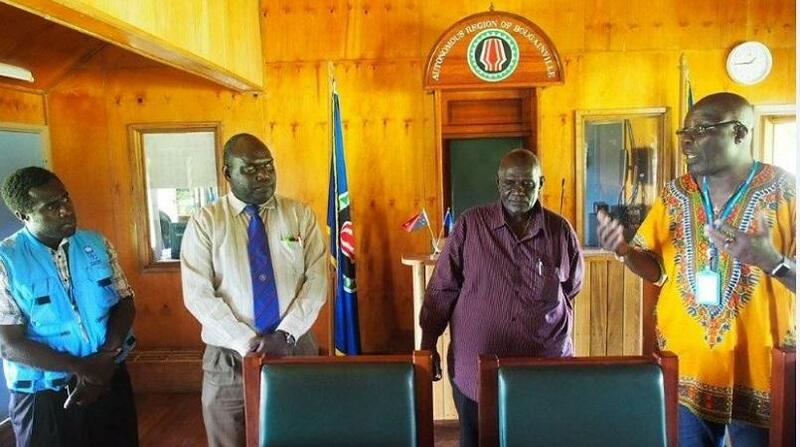 The agreement to a constitutionally guaranteed referendum on Bougainville’s political future to be held amongst Bougainvilleans in 10-15 years after the establishment of the Autonomous Bougainville Government. When conditions are right with a separate independence as an option and the outcome subject to the final decision-making authority of the National Parliament. Read more about the three pillars (Autonomy, Weapons Disposal & Referendum) and access the key documents associated with the BPA. New Hansard recording system has been installed at the Bougainville Parliament enabling it to record and transcribe its sessions and proceedings. The Hansard system is a digital system used to produce transcripts of the Parliament’s debates and sessions, a global practice that ensures accountability and transparency of the Parliaments around the world. It was brought to Bougainville as part of the UN Development Programme (UNDP) support to the Autonomous Bougainville Government. The Hansard system was installed by For The Record, an Australian based company. It is fitted with the most up to date software and is the same one used around the world including in Australia and UK Parliaments. The system allows for primary and backup recording in both main parliamentary chamber and committee room. All recordings are then automatically replicated to a central archive server of the intranet, from where all audio playback and log notes can be accessed and reviewed. UNDP’s support is made possible through the UN Peace Building Fund and is aimed at helping the Government of Papua New Guinea and Autonomous Bougainville Government consolidate peace, enhance community cohesion, good governance and build capacity of various government departments.